Back on 26 June 2014 I noted that I was working on the The Type 97 TeKe, a Japanese tankette used in the Second Sino-Japanese War, at Khalkin-gol (Nomonhan) against the Soviet Union and Mongolia, and in World War II generally. 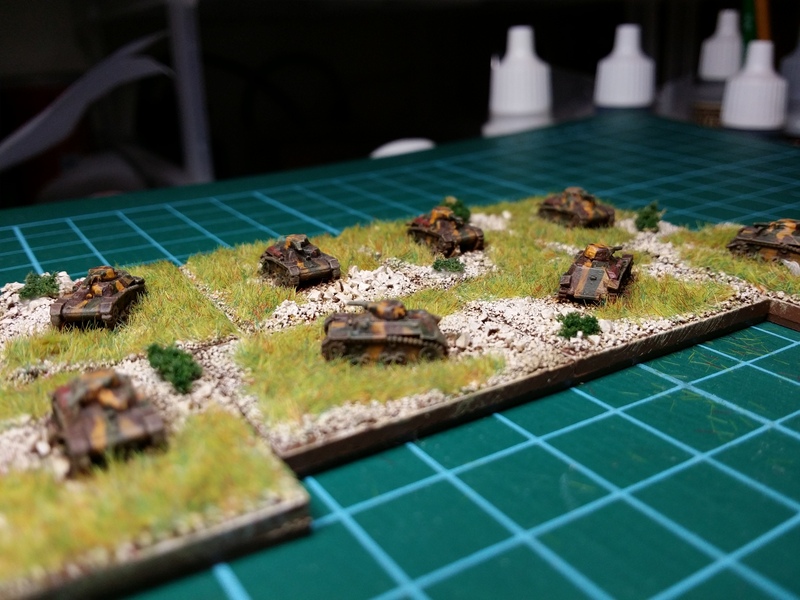 The photo to the left indicates where I had got up to with regards to painting these vehicles. I got some time this week so finished them off yesterday. The photos below show how they look in their full camouflaged glory. The tankettes were reasonably new as they were designed in 1937 and a total of 616 of them were built. They were small, however, only being large enough for a crew of two (a commander and a driver). 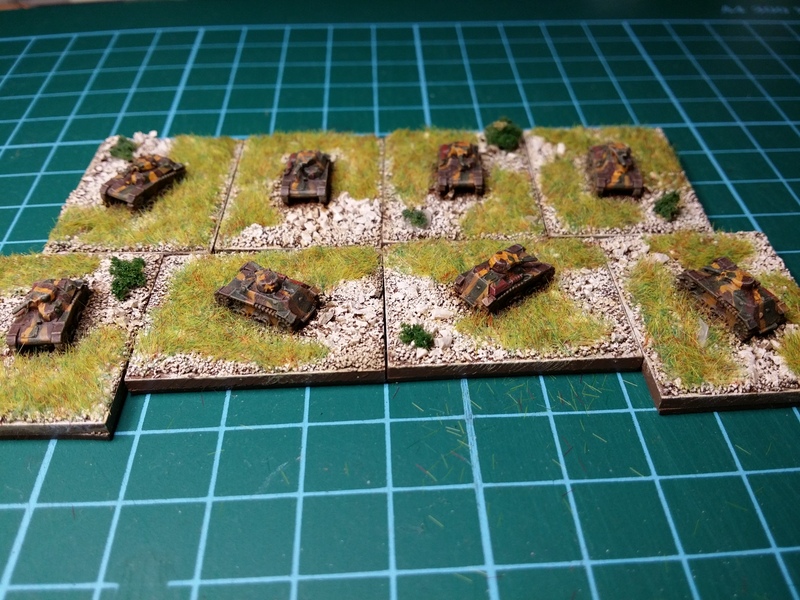 Anyway, these are the last of the Japanese tanks to be painted. 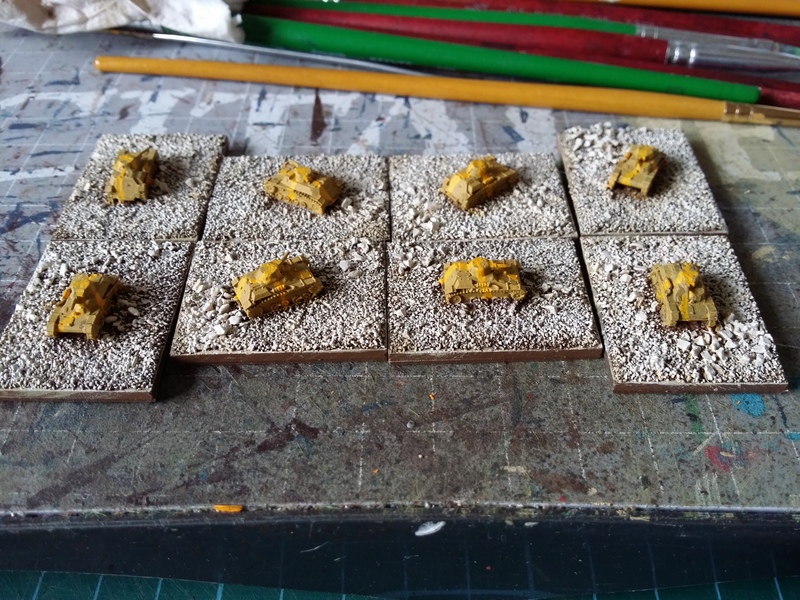 On the painting queue for the Japanese are two aircraft and all the infantry. The infantry still needs to be adhered to bases and prepared for painting but that may need to wait for a week or three, depending on (I hope) new work. I will photograph all the Japanese armour later this week once varnishing is complete and dry.